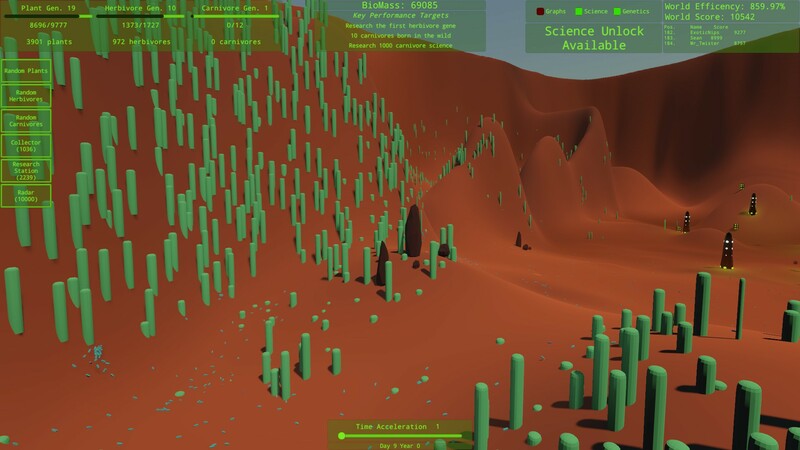 The latest update to Intelligent Design: An Evolutionary Sandbox is now available to download on itch DRM free! It's the biggest update we've done. It’s full of new content and improvements. To celebrate the game is 50% off on itch for the next week. Give it a try, let us know what you think, and please tell your friends! We’ve made a new map for you to play on. It’s inspired by arctic landscapes, and so features big flat plateaus with deep crevasses snaking around them. Will micro-ecosystems emerge in these dark depths? Will plants evolve to find their way up these sheer cliffs? We’re so excited about this new map, we’ve made it the first map new players will see. The controls have been completely changed. We read your reviews and we watched countless YouTube videos, and the hard decision was made to drop controller support. Now the game controls something like Factorio or Two Point Hospital. Move the camera with WASD and holding down the middle mouse button. Then simply use the cursor to click where you want to build buildings or create creatures. We have also completely changed the genetics panel. Now you can see every gene you’ve unlocked for an organism on one screen, and then edit them all at once using a slider-based system.This new UI also allows for quick and comprehensive inspection of existing organisms in your world. We hope this gives you a better sense of what is going on. 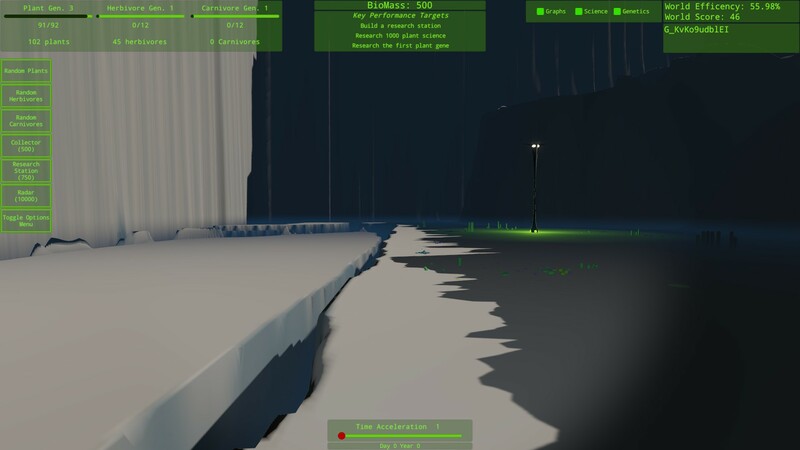 It took a lot of work but we’ve managed to significantly improve performance in the game. This is mainly due to the experience gained developing Cycle 28 for Nintendo Switch™, but also due to updates in Unity3D. 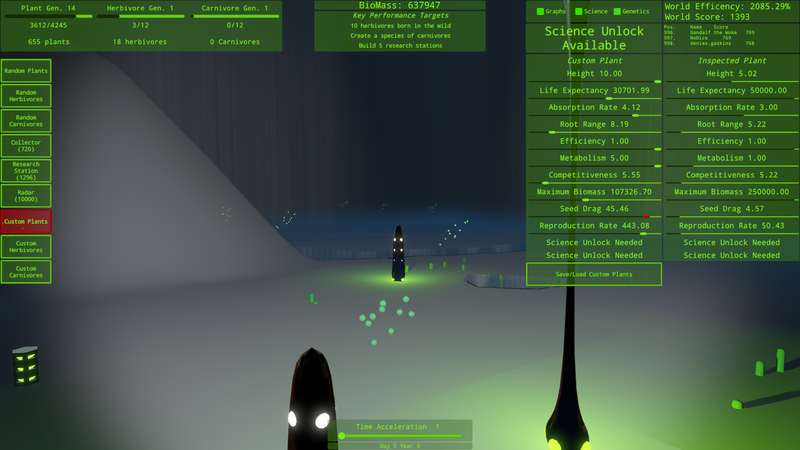 Population numbers can now get much higher at a playable framerate. The population cap is still something you can disable, so those of you who want to push your thinking machine supercomputers to breaking point - or just want to heat your room as we head into winter - can. The performance improvements have meant we have been able to add time acceleration unlocked right at the start. This is a feature that was previously unlocked by completing all Performance Targets in the game, but due to feedback from the community we have decided to provide players with this feature from the beginning. Use it wisely! Save directory has changed. To copy your old saves over launch the game and start a new save. Push escape to open the menu and hit ‘Open Data Folder’. The old data folder will be one directory above the /intelligentdesign folder. Exit the game and copy all your old files over to the new one and restart the game. 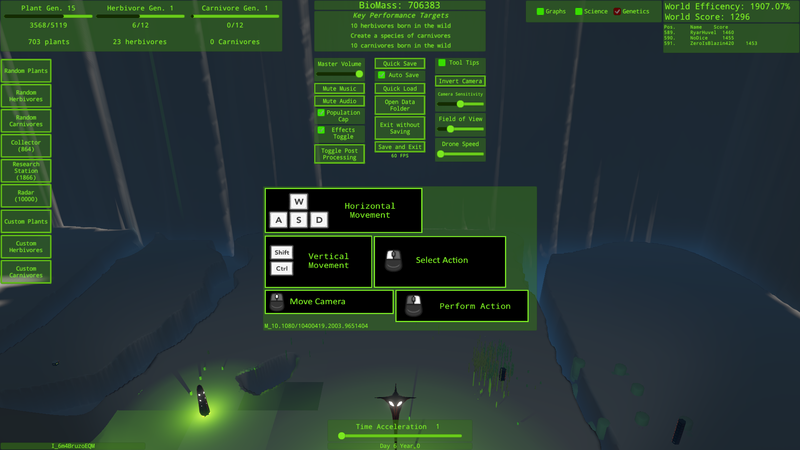 Controls completely reworked. Controller support has been removed in favour for a management game style mouse based input. Added time acceleration unlocked by default. Revamped tutorial - Changed wording to reflect new controls, removed voice-over, made the tutorial button driven. The Mac version now runs with newer versions of MacOS.